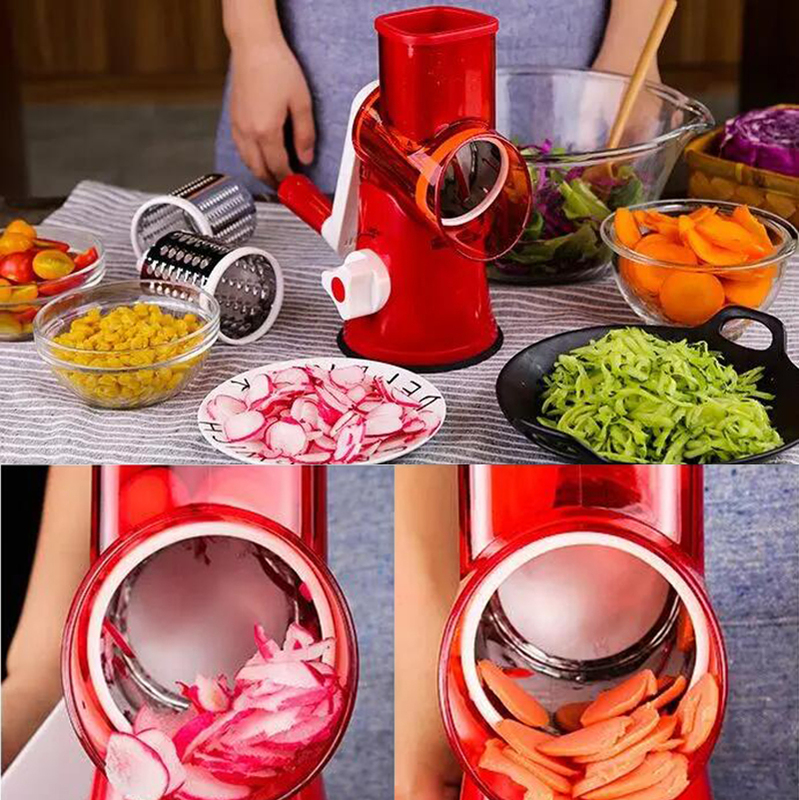 Mandolin Slicer Vegetable Cutter Grater For Vegetables Cheese Carrot Grater Trio Grater Clever Vegetable Chopper Kitchen Tool. 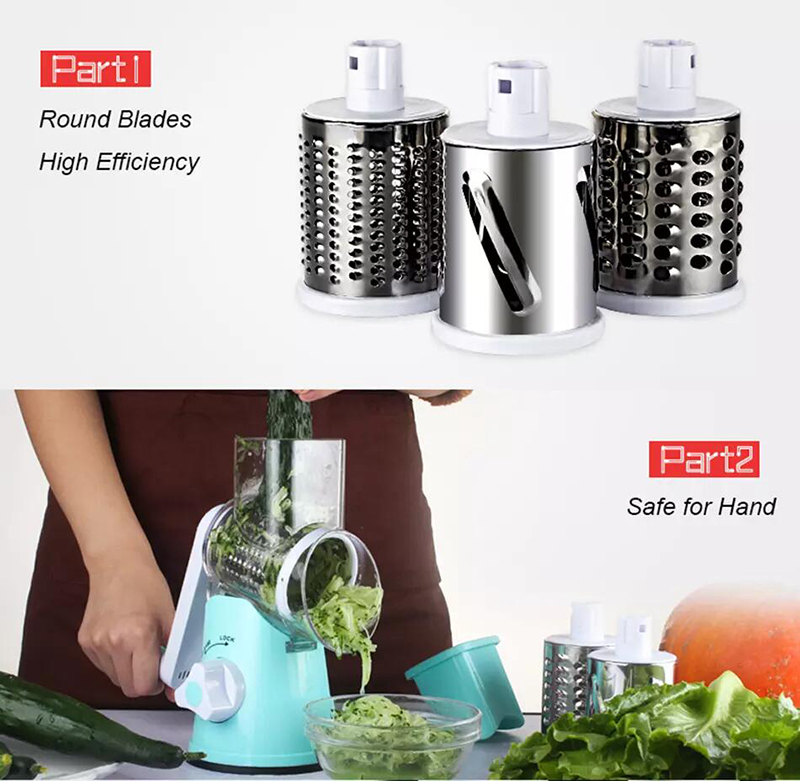 1.Equipped with 3 blades made of high-quality stainless steel,sturdy and sharp blade. 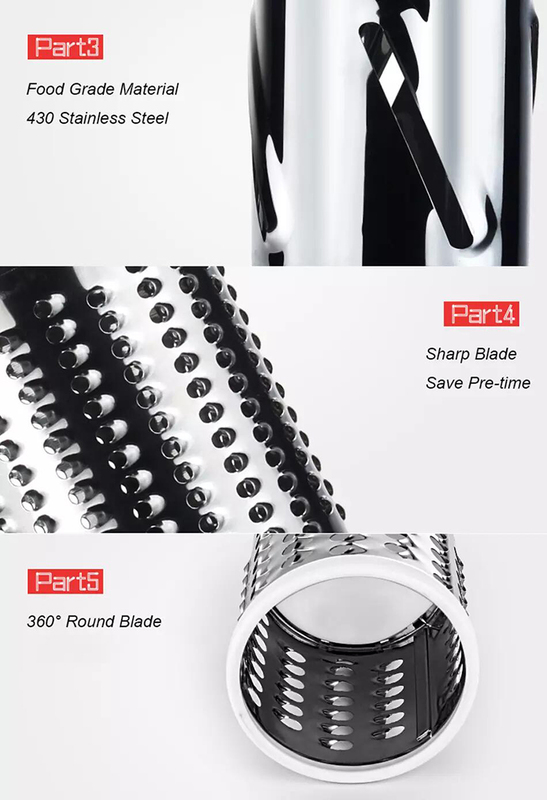 interchangeable drums for different cooking options. 3. 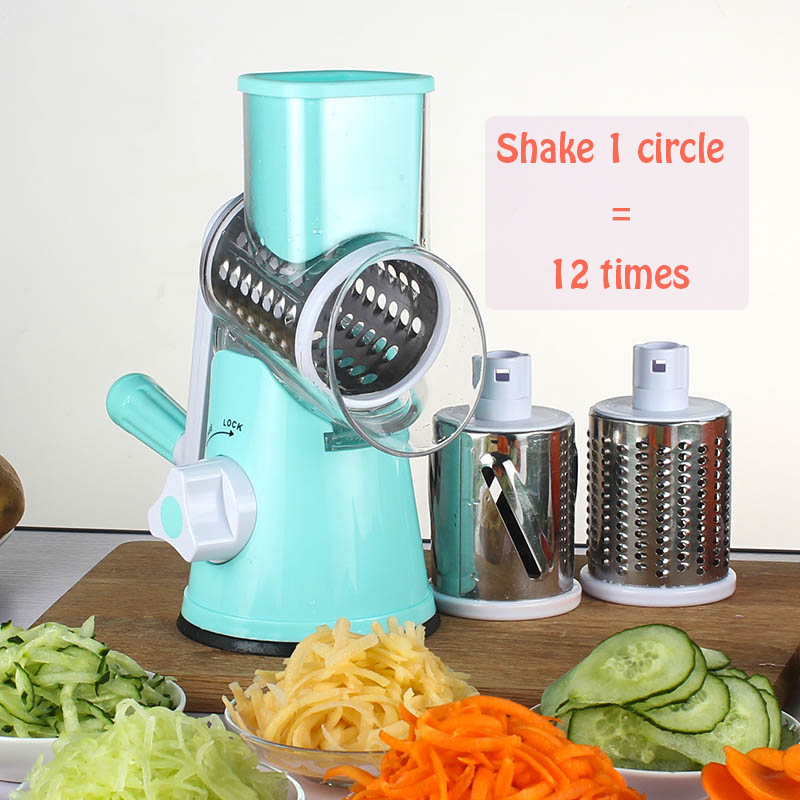 Simple hand crank turns drum and creates perfectly grated ingredients. To operate and easy to clean. 4. 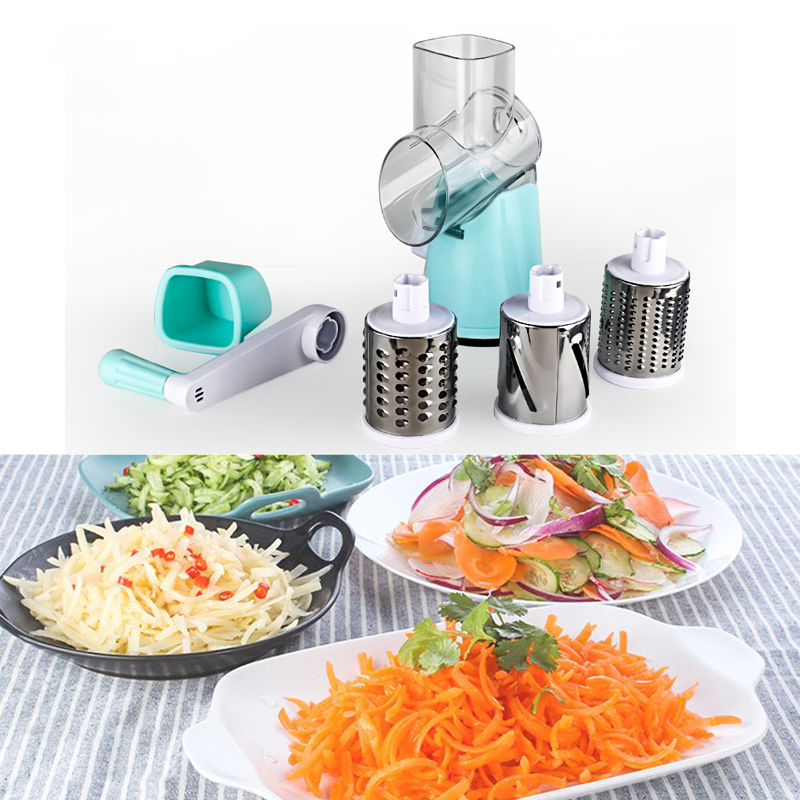 Great for hash browns, corn beef hash and grating coleslaw.Perfect to grate cheese, vegetables, potatoes, sweet potatoes, nuts, onions and more with this hand-powered rotary grater.Great for hash browns and grating for coleslaw. 5. Suction base ensures solid grip and stability on flat surface.Drums are equipped with razor-sharp, stainless steel rotary blades. 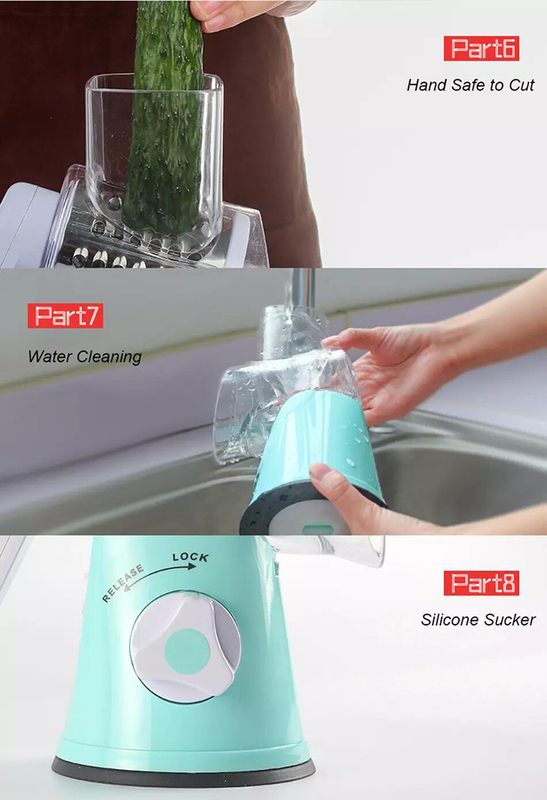 1.Lock the suction base by turning the knob in clockwise. 2.Install the feeding jar to the base. 3.Put the drum into the feeding jar and push it into end stop. 4.Match the right direction of the handle and the end of drum. 5.Locking the drum by insert the handle untill hearing "click" sound. 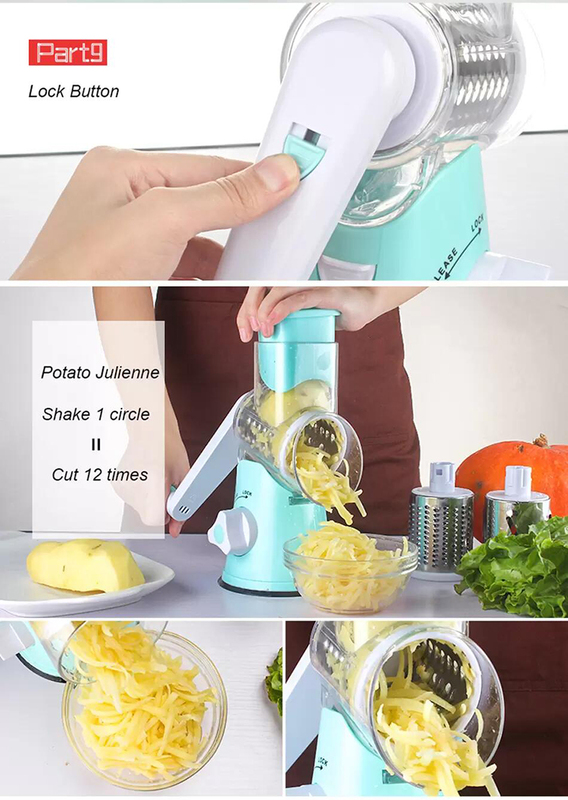 6.Put the food into the jar and turn the handle to use. 7.Easy to make any kind of vegetable salad.